Public beheadings for blasphemy and homosexuality, a diplomatic furore stemming from Raif Badawi’s “insult to Islam” sentence, the Dalai Lama “blasphemes” his own religion, says China, and Rafida Bonya Ahmed speaks out after her husband’s murder three short weeks ago. 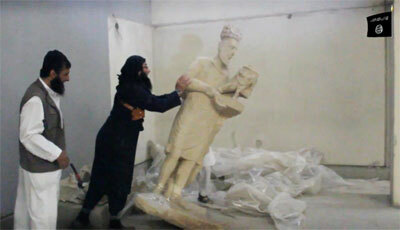 Vox has a rundown on the various acts of extreme cultural vandalism associated with ISIS and predecessor Wahabi groups, against artifacts including statues and entire city sites that they consider “blasphemous” or “idolatrous”. “Settled in a makeshift studio in the Turkish city of Gaziantep 40 miles from the Syrian border, the film-makers decided ridicule was an effective way of responding to Islamic State and its grisly record of extreme violence. And indeed, this week ISIS reportedly beheaded a further three men (four on some accounts) “for homosexuality and blasphemy” in Iraq. 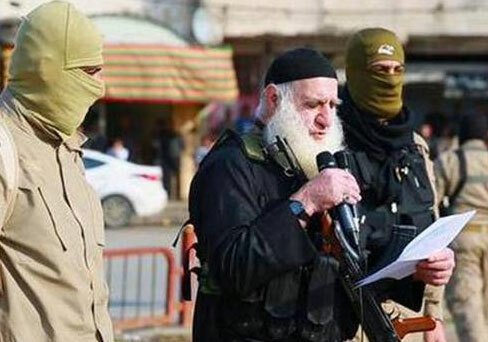 Additionally, a document is being circulated by Isis supporters detailing the so-called crimes committed by the men and the punishments handed to them as stipulated in its brutal penal code. Another theocratic regime which uses the same cruel punishments for similarly backwards charges is the sovereign state of Saudi Arabia. 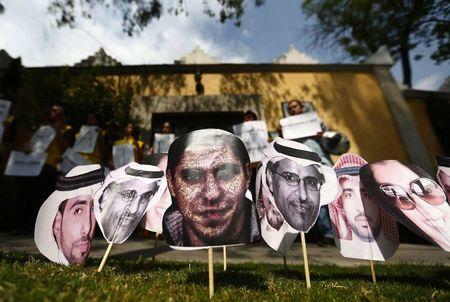 The kingdom has finally deigned to issue a response to widespread concerns over its appalling human rights record, (full translation here) in particular centering on its use of barbaric punishments, and the detention and lashing of Raif Badawi and his various liberal colleagues for crimes such as “insulting Islam” and alleged “apostasy”. The official response, however, fails to address any actual concerns, instead lashing out at the very idea of international criticism, asserting that its law is based on Sharia and has signed up to human rights instruments, and blaming media for “politicising” the situation. News flash: being signed up to the human rights instruments means you need to accept that criticism from abroad is at least in principle valid! 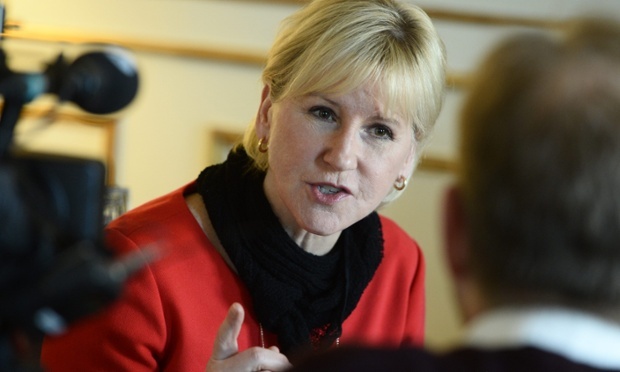 The Saudi government also fell out with Sweden, specifically, after the Saudis blocked a speech by Margot Wallström, Swedish foreign minister, to the Arab League, in which she would have criticised the Saudi rights record. So Sweden decided to cancel its arms trade agreement with Saudi Arabia. So Saudi Arabi withdrew its ambassador. Whatever else all this shows about modern diplomacy, or the hypocrisy of western states systematically arming flagrant human rights abusers, it certainly shows how a single “insult-to-religion” case can escalate when the deep injustices against an individual like Raif Badawi are highlighted and seen for what they are, around the world. There were two rulings from Pakistan this week which – possibly – may be taken to indicate a renewed courage on the part of the judiciary against the demands of “blasphemy” law supporters. The Supreme Court found serious concerns including “bias” and the apparent “ambivalence” of police investigating the murder in November last year of a Christian couple, Shehzad Masih and Shama Bibi, who had been pregnant at the time of their murder. The couple had been accused of “blasphemy” and were burnt alive in a kiln by scores of so-called protesters. “…upheld the murder conviction against self-confessed killer, Mumtaz Qadri, despite significant pressure from Islamist supporters of “blasphemy” laws to free him. The court also overturned his conviction for terrorism. In 2011, Mumtaz Qadri assassinated his own employer, the Governor of Punjab, Salman Taseer. Taseer had criticised ‘blasphemy’ laws, and supported those victimized by ‘blasphemy’ accusations, most famously championing the case of a Christian woman, Asia Bibi, who was sentenced to death for supposedly insulting Islam during an argument with neighbours. Mumtaz Qadri, who was meant to be acting as Taseer’s bodyguard, shot him dead on the streets of Islamabad. IHEU pointed out that the death sentence for the murder conviction alone was unlikely to be carried out in the near future, however subsequently Pakistan lifted its longstanding moratorium on capital punishment for crimes other than terrorism! ““This shameful retreat to the gallows is no way to resolve Pakistan’s pressing security and law-and-order problems,” said Amnesty International’s deputy Asia-Pacific director Rupert Abbott. The decision means that in principle, as their appeal possibilities expire, the “blasphemy” murderers like Qadri, but also those convicted of “blasphemy” such as Asia Bibi, face a renewed threat that their sentence will be carried out. Rafid Bonya Ahmed, the wife of murdered Bangladeshi-America blogger Avijit Roy, has spoken out this week for the first time since the attack on 26th February. “While Avijit and I were being ruthlessly attacked, the local police stood close by and did not act. Now, we demand that the Bangladeshi government do everything in its power to bring the murderers to justice. Ahead of elections in Israel, religious parties have warned that those not voting will be guilty of “blasphemy”. “Novosibirsk prosecutors have taken Russian theatre director Timofei Kulyabin to court over a performance of the Wagner opera ‘Tannhauser’. The case was opened due to objections raised by local Russian Orthodox Church officials who reportedly didn’t watch the play but claimed that it ‘offends the feelings of believers’. According to Russian legislation, the theatre director could face up to three years in prison if convicted. In India, a Facebook post has led to another “blasphemy” complaint against an individual from a minority community, filed by a group that purports to defend the poor and downtrodden. An official in China’s (officially atheist!) Communist party has accused the Dalai Lama of blaspheming against… Buddhism! It’s a clearly political maneuver, and shows how broadly the terms of “blasphemy” may be used to the ends of political manipulation. “A top Chinese Communist Party (CPC) official in Tibet on Monday accused the exiled Dalai Lama of “blasphemy” over his comments that he may be the last to hold his position as the Tibetans’ spiritual leader. “What he said is blasphemy against Tibetan Buddhism,” the CPC-appointed governor of the Tibet Autonomous Region (TAR), Padma Choling who is an ethnic Tibetan, told reporters, speaking on the sidelines of the on-going 10-day session of the National People’s Congress, or Chinese Parliament, in Beijing. “It’s not up to the Dalai Lama,” Choling was quoted as saying by the official Xinhua news agency, which added that the Dalai Lama’s statement was “against the Tibetan Buddhism tradition as the soul of a senior lama is reincarnated in the body of a child on his death”. 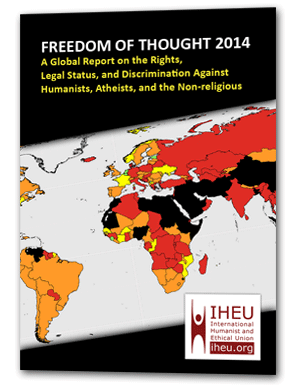 “There may be little political will to repeal “dead letter” blasphemy laws, but the ICABL hopes that by bringing public attention to the harms and injustice of blasphemy laws, enough public desire and local pressure can be brought to bear against governments to persuade them to take action. And finally, the Spectator reported on a “new low” as the so-called “Islamic Human Rights Commission” awarded its international “Islamophobe of the Year” award to the murdered staff of Charlie Hebdo.